You are going to Watch Tenchi Muyo! Ryo-Ohki Episode 17 English dubbed online free episodes with HQ / high quality. 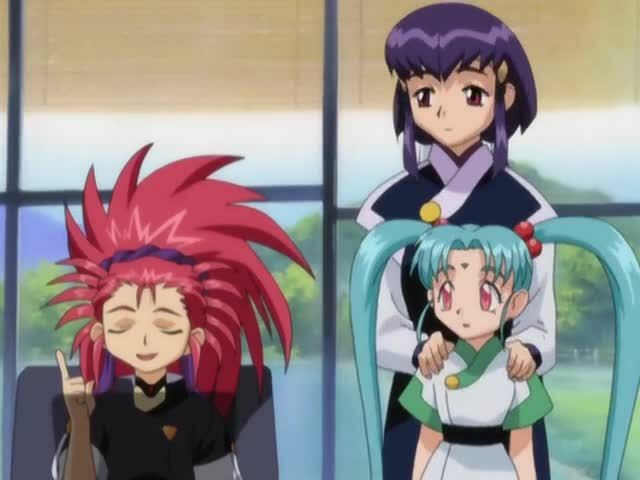 Stream Anime Tenchi Muyo! Ryo-Ohki Episode 17 Online English dub Here Comes Misao on The Chobimaru! When Mihoshi’s brother Misao gets the mistaken impression that his sister is a prisoner in the harem of the cruel Earthling Tenchi, he decides to head for Earth and wreak destructive vengeance on the entire planet! Fortunately, his adjutant Mashisu is able to divert him from his destructive plans, but it soon becomes clear that this is far from a benevolent act on her part. For Mashisu has proposed another plan, that involves luring Ryoko over to Misao’s ship, and destroying her in a planet sized explosion.